Forsyth, A. K., Williams, P. G. & Deane, F. P. (2012). Nutrition status of primary care patients with depression and anxiety. Australian Journal of Primary Health, 18 (2), 172-176. 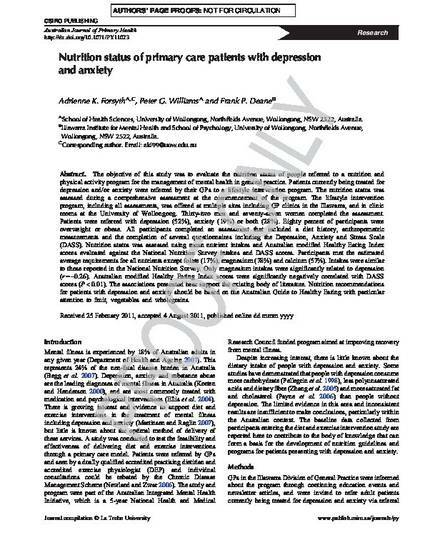 The objective of this study was to evaluate the nutrition status of people referred to a nutrition and physical activity program for the management of mental health in a general practice.